Below are the summarized results of a survey the neighborhood conducted in the Spring of 2018. A. In a typical year, how often do you go to Boyd Park and/or the surrounding grounds (prairie area, nature trail, etc.)? B. Do you feel safe in Boyd Park? C. What do think of the quality of the playground equipment currently at Boyd Park? D. What do you think about the idea of increasing access to the Eau Claire River from Boyd Park? E. How likely would you be to use a community garden that was fenced and had water access if one was located in Boyd Park? F. What do you think of the Neighborhood Association’s decision to welcome a Skateboard Park within Boyd Park? G. The restrooms in Boyd Park are currently open 24 hours a day, 7 days a week, in the months of non-freezing weather. In freeze-prone months the rest rooms are only open when the Shelter is used for ice skating. Is this enough restroom access for you in the colder months? H. How likely would you be to participate in scheduled community activities that were offered at Boyd Park such as concerts, volleyball and/or other games, movies, etc.? I. Would it be acceptable to you to reduce the overall size of the winter ice skating rink in Boyd Park in order to accommodate some other uses of the space during the summer months? A. Do you feel the Steering Committee of our Association has been attentive to Neighborhood concerns? If no, please give examples. • They made the city change the speed limit back to 25mph. They want to narrow streets add shared bike lanes. I want dedicated bike lanes not shared bit we dont have the room. • The spokesman seems to turn a blind eye to criminal behavior by youth. Safety needs to be a priority. We’ve lived in the neighborhood over 20 years. Crime has definitely increased despite what were being told. Much goes unreported. • not everyone on east hill agrees with your “put bicyclists first” agenda or your restorative justice stance. You should stick to basic quality of life issues. Your thrift sale is a real pain for those of us who already struggle to walk safely in the neighborhood. • Do we have a neighborhood watch yet? • From what I’ve heard, only some neighbors concerns are taken care of. Some neighbors are ignored and bulled by the committee. • The focus appears to be organizations and their missions. • Some people need to clean up their yards. • As someone who strongly disagrees with placing a skatepark at Boyd, I’ll take this opportunity to state that I and others in the immediate vicinity would have to bear the brunt of the noise, and also would greatly miss the space now available for other activities. B. 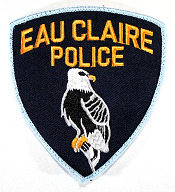 In January, the Steering Committee testified before the Eau Claire City Council to support the city’s proposed resolution to follow the Paris Climate Agreement. Do you feel that the Steering Committee should take action on issues such as this to improve the quality of life in the neighborhood? • We need to work towards a garbage burner, trash is a renewable resource!! • Whatever we can do to take care of our part of the world, and maybe help the rest of the planet. • As a neighborhood lets lead the movement…solar…focus on energy and Xcel energy grants for improving insulation and lighting and heating. Water gardens etc. • Definitely! We have to care for the environment or we won’t have great quality of life. • Even if we are a small community in the grand scheme of things, we can make a difference! • To some extent, though the question is somewhat broad and the authority of the Steering Committee may be limited in such matters. It might be better to help preserve the natural integrity of the riverbank, prairie trail, and woods trail, which can serve as an example for others, and an educational opportunity. • While local government units are not directly involved in any global accord, it is important to show support for things that are so vital to the survival of all. If we can find ways to locally support those who are attempting to live more environmentally-responsible lives, and other communities make similar efforts, it could go a long way toward influencing state and national policies. I would not agree that local groups (city councils and neighborhood associations, for example) should take positions on most issues better handled on the state, national, and international levels, however, as that would take too much time away from the primary function of such groups, which is addressing local issues. • Yes, but only as recommendations, the same as any group of concerned citizens. Do you feel welcome in the Eastside Hill Neighborhood? 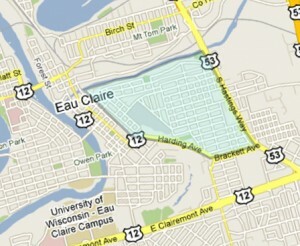 • I have found (after living in the area for nearly 30 years) that Eau Claire is a rather closed community socially. If you aren’t married, you are not really accepted here. If you aren’t Norwegian, German, or Hmong,you don’t really find acceptance here. If you don’t drink alcohol, you aren’t accepted here. (HumanKind events seem to be centered around wine-tasting. Why is that?) If you grew up elsewhere, it is difficult to make friends here. I stay here mainly because my grandchildren are here. • I grew up on the Eastside. I feel like it is now filled with uppity busy bodies that just make trouble. • People some more concerned with fussy tidiness than neighborly contact and tolerance. • I always feel welcome, BUT I’m a white woman, and I’m not sure everyone would feel the same. • A few of the more outspoken people that use the neighborhood committee to bolster their own politics.